It was good recently to see a building in Bethnal Green that featured in my walk Modernism and Model Dwellings appearing in a prime time television drama. 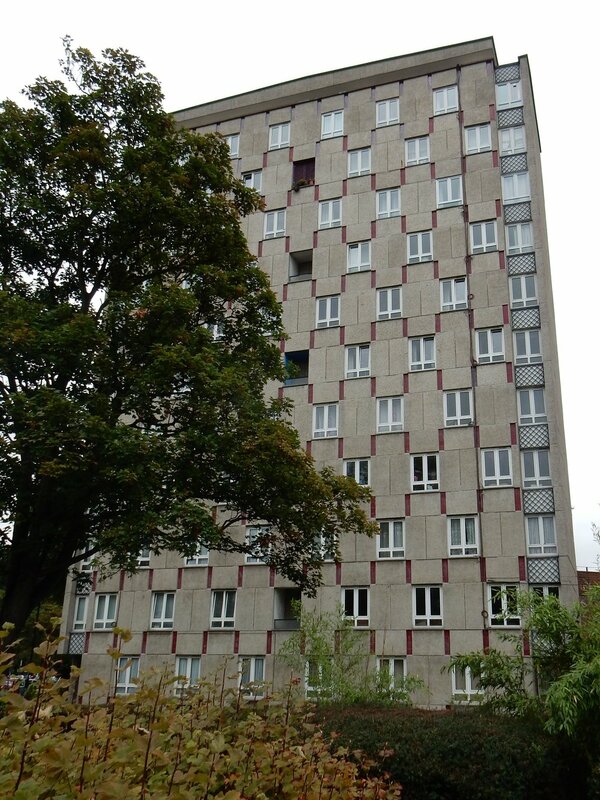 This façade of the 11 – storey block – with its name changed to Elgar House -- appears in the drama a few minutes before the end of the first episode and is followed by appropriately lingering shots of the magnificent spiral staircase at the building's centre. 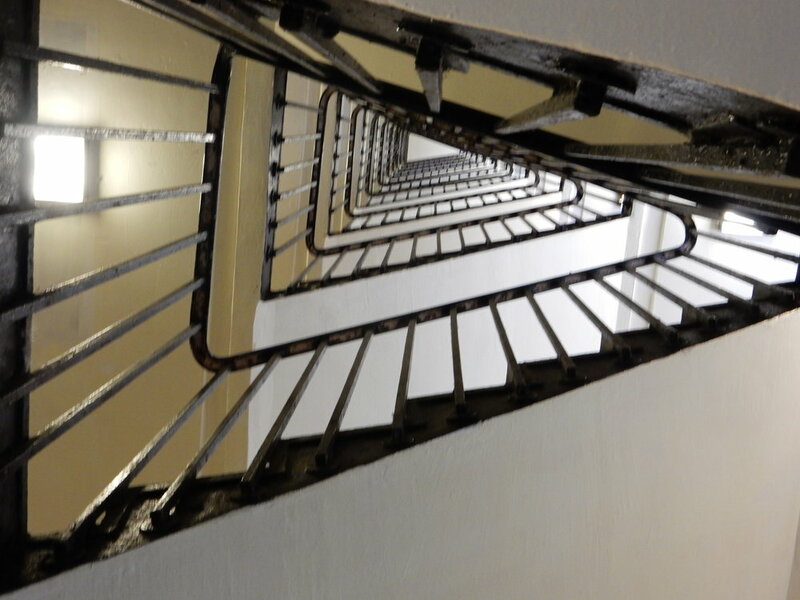 The eponymous private detective’s discovery of a drowned body in a bath in one of the upper storey flats interrupts, but cannot entirely extinguish, our appreciation of the architecture! Berthold Lubetkin -- a Russian émigré – made a major splash on the British architectural scene between the world wars of the last century. 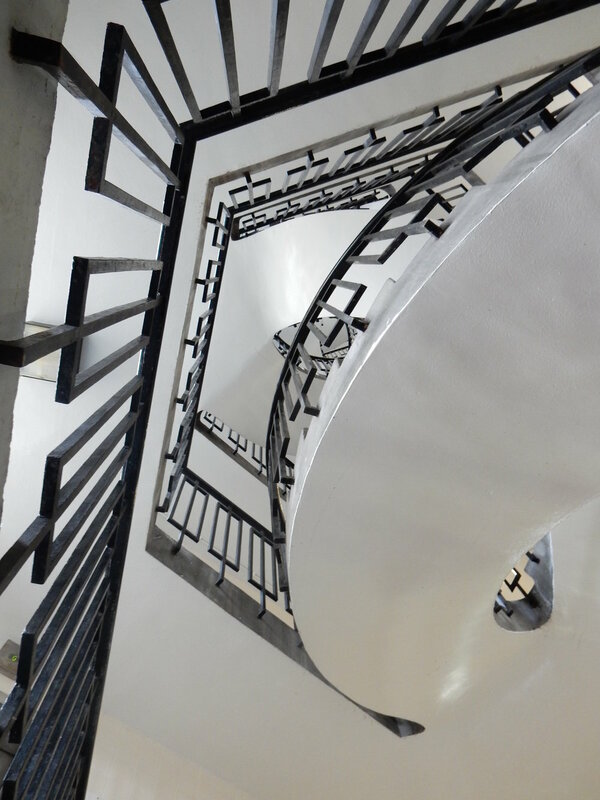 His two tall apartment blocks in north London – Highpoints I and II – were among the first examples of the International Style to be seen in this country and are now both Grade l listed. His design of the penguin pool at London Zoo attracted much attention. 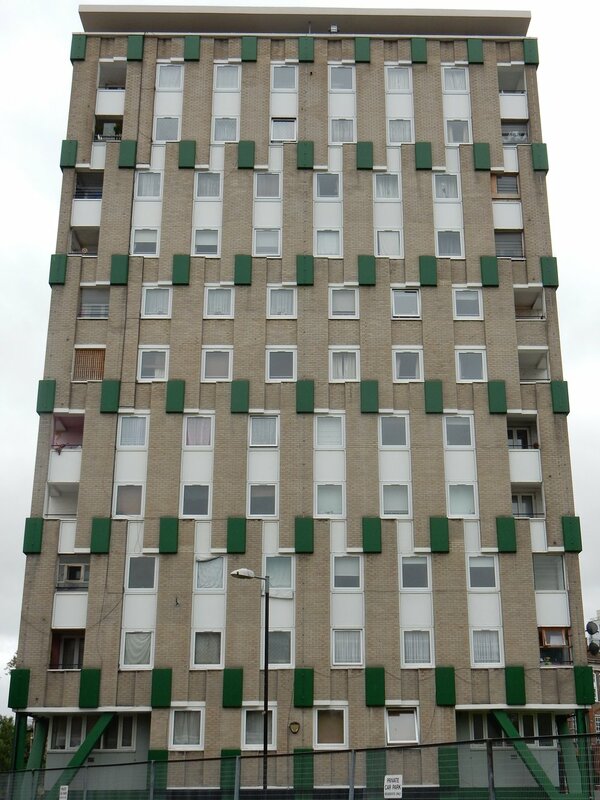 The use by Lubetkin of huge concrete rectangular slabs on the exterior of the building to create a decorative pattern reflected a style of Modernism that would soon be overtaken, in the design of council housing particularly, by the emphatically undecorated Brutalist style which would dominate the field for decades to come. It is good to see makers of TV drama recognising the quality which buildings like this bring to our urban landscape.